Rockin’ Disney Store Sale goin’ on this weekend. Which is awesome, since you’ll want to save every last bit of coin you can for your upcoming #DisneyVacation. 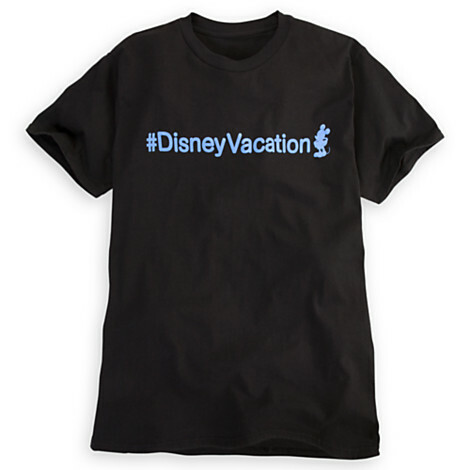 You’re going to look so stylish on your #DisneyVacation wearing this awesome #DisneyVacation tee. Your friends back home will be so happy to know that you got this #DisneyVacation tee for an additional 25% off the already marked down price of $9.99, because we know you’ll be tweeting about it on or before your #DisneyVacation. Click here for the sale, and enter code BONUS at checkout for 25% off this, and tons of other already marked-down merch, this weekend at Disney Store Online!